Social media are changing at such a pace that attracting vast numbers of likes and followers are no longer enough to stand out from the crowd. The challenge is now to identify key influential people. 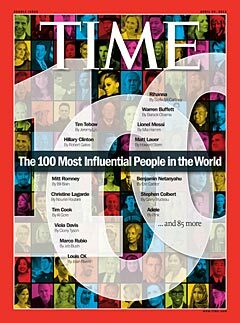 First published in 1999, Time publishes since 2008 each year the 100 most influential people in the world (see Wikipedia). The books that inspired the Tech’s most influential people are listed on the web site Business Insider. 55 Speeches by Influential People of the 21st Century are collected on the Trendhunter web site. The 20 Most Influential People in Social Media are presented on Income Diary. Forbes published the Top 50 Social Media Power Influencers in 2013. Tom’s Hardware listed the 10 most influential people in IT of 2011. And there are more and more such lists. Klout (The standard for Influence) aims to quantify social media presence and makes its own list of influential people. Kred Influence Measurement, or Kred, is a similar tool launched by Jodee Rich (see Wikipedia). Readability metrics are used to evaluate the ease in which text can be read and understood. Legibility is a measure of how easily individual letters or characters can be distinguished from each other. Easy reading helps learning and enjoyment. There are different ways to test the readability of texts : text leveling, vocabulary frequency lists, affixes, readability metrics. In 1948, Rudolf Flesch published his Reading Ease formula which became one of the most widely used. 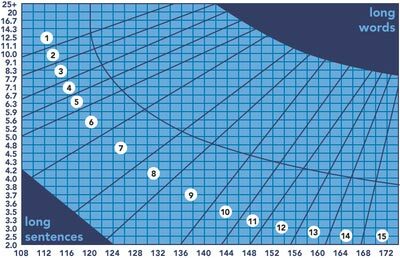 In 1975, in a project sponsored by the U.S. Navy, the Reading Ease formula was recalculated to give a grade-level score and is now called the Flesch–Kincaid Grade-Level formula. Clear, succinct writing designed to ensure the reader understands as quickly and completely as possible is called plain language. Using excess of words is called verbosity. A list of plain English words and phrases which have been recommended in United States guides to writing is available at Wikipedia. Today I created the following Twitter timeline widget and downloaded an offline archive of my Tweets for test purposes. ThinkQuest is a complete online learning environment for primary and secondary schools that helps students develop important 21st century skills, including communication, critical thinking, and technology skills. ThinkQuest Library: The world’s largest online repository of student-developed learning projects. Featuring over 8,000 websites, the ThinkQuest Library is visited by over 30 million web learners each year. Talking Tom Cat is a free app for phones and tablets that shows a cartoon cat onscreen that repeats whatever you say into the device in a funny voice. 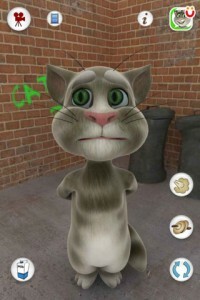 Talking Tom Cat also responds to pokes and strokes of the screen. You can pet the cat and hear him purr. You can pour him a glass of milk and watch him drink it. Talking Tom Cat has incredible attraction for kids. Talking Tom Cat was created by Outfit7, a startup founded in October 2009 in Slovenia by Samo Login. The company moved its headquarters to Limassol, Cyprus in 2011. Outfit7 is known for its creation of the popular Talking Friends collection of about 20 mobile apps which have been downloaded more than 400 million times. Tom Cat is the most popular Talking Friend which has been downloaded more than 40 million times. Other characters are Gina the Giraffe, Pierre Parrot, Ben the Dog, Rex the Dinosaur, Larry the Bird, Baby Hippo, the cats Ginger and Angela and others. In 2012 Tom Cat and his friends appeared in TV shows and music videos. The company generates revenue through a combination of paid app downloads, in-app payments for virtual items and advertising. Tom Cat and the Talking Friends are also available as plush toys. The Talking Friend Superstars bring the apps to life and can even talk with the apps. Language localization differs from translation, because it involves a comprehensive study of the target culture in order to correctly adapt the product to local needs. Poedit is a free, open source and cross-platform gettext catalog editor to aid in the process of language localization. Poedit provides compact view of data and very effective UI. Poedit is developed by Vaclav Slavik. The latest version is 1.5.5. released on February 4, 2013. The sources are available at Github. A social music network, connecting users across the globe through music and enabling people to uniquely express themselves, has been created by Smule, a company founded in 2008 by Jeff Smith and Ge Wang. In December 1, 2011, Smule acquired Khush, an intelligent music app developer and creator of popular apps, Songify and LaDiDa™. On October 3, 2012, during an Entrepreneurial Thought Leaders Seminar at the Standford’s Entrepreneurship Corner, co-founders Ge Wang and Jeff Smith, shared how their passion for music and technology discovered its full voice in the founding of Smule, whose applications seek to liberate the musician in everyone. Wang emphasized how technology should enable human connection and reaction, and Smith shared insights on the mobile space and the importance of product focus. See the video of this lecture, a Startup in Harmony. Free software is software that gives you the user the freedom to share, study and modify it. Free software has become the foundation of a learning society where we share our knowledge in a way that others can build upon and enjoy. 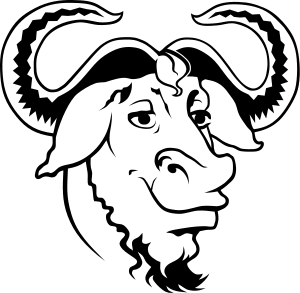 The free software movement was started in 1983 by computer scientist Richard M. Stallman, when he launched a project called GNU, which stands for “GNU is Not UNIX”, to provide a replacement for the UNIX operating system. Then in 1985, Stallman started the Free Software Foundation, a nonprofit organization with the mission of advocating and educating on behalf of computer users around the world. In 1998, a part of the free software community splintered off and began campaigning in the name of open source. Nearly all open source software is free software. The two terms describe almost the same category of software, but they stand for views based on fundamentally different values. Read the statement of Richard Stallman “Why Open Source misses the point of Free Software”. SEO (Search engine optimization) is the process of improving the visibility of a website or a web page in a search engine’s natural search results (natural = un-paid, organic, algorithmic). A SERP (search engine results page) is the listing of results returned by a search engine in response to a keyword query. For WordPress, the leading content management system for blogs, there are number of performant plugins that make it easy to optimize your posts. The deliberate manipulation of search engine indexes is called spamdexing. Common spamdexing techniques can be classified into two broad classes : content spam and link spam. See the related post for informations about pagerank, content farms, search quality and black hat SEO. On Internet (websites, Twitter, chat rooms, blogs, SMS, forums ) you often find terms, acronyms or abbreviations that are not widely understood. They belong to a group of Internet and computer slang words. The website Internet Slang provides an Internet dictionary with more than 7.800 acronyms of the most commonly slang terms used today.